As beautiful as she was ancient, Arienrhod ruled Tiamat whose twin suns circled the Stargate linking her world with the Empire. Now the Stargate was closing, heralding the end of Winter rule. But Arienrhod, faced with the ritual sacrifice, has cloned an heir - her key to immortality and perpetual dominion. The Snow Queen will defy the laws of the Galaxy for the fountain of youth, kept flowing by genocide and the power of love. 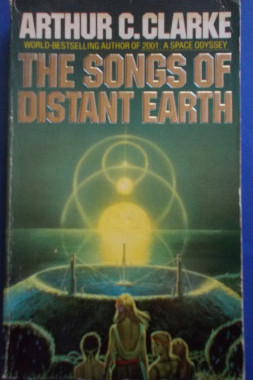 Five hundred years before the events in The Songs of Distant Earth, Earth's sun went nova, destroying Earth and the other planets of the solar system. There was just enough warning to evacuate survivors in hyperships, each carrying one million sleepers in suspended animation, as well as the gene banks of plants and animals. The Magellan, experiencing considerable erosion from interstellar space debris, stops at the planet Thalassa to construct a new shield. 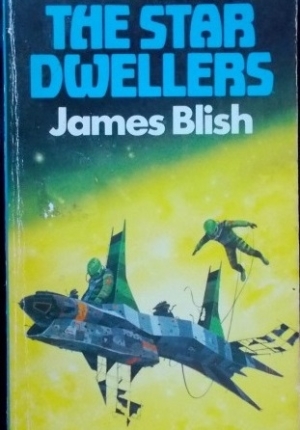 The Thalassans are happy to help the interstellar travellers but matters get complicated when the travellers are tempted by the idyllic lifestyle on Thelassa, and the Thelassans are attracted by the adventure of deep-space voyage... and then Commander Lorenson falls in love in Mirissa, a Thelassan girl. When Earth's sun went nova, the Magellan barely escaped in time, with its precious cargo of one million sleepers and gene banks of plants and animals. Five hundred years into the voyage they stopped for repairs on the idyllic planet of Thalassa. 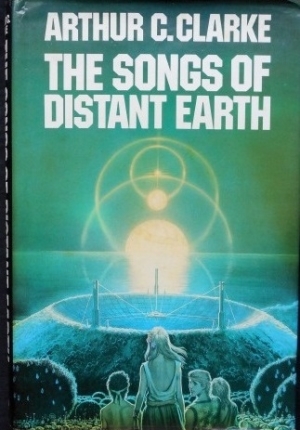 But whilst the awakened Earth people envied them their stable, harmonious world, the hospitable Thalassans were drawn to the long quest of the interstellar voyagers. And when Lt Commander Loren Lorenson met beautiful Thalassan Mirissa, their destinies became inextricably and tragically entwined. Somewhere in deep space, someone was experimenting with Matter Transmission. The last time it had been tried, millions of suns had gone nova and whole chunks of space had been twisted into black holes. Somehow, it had to be stopped. Jacklin was picked for the mission because he was used to dying: Rossa because she could transmit messages faster than the speed of light. 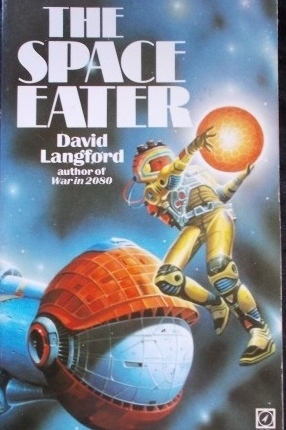 But in their desperate attempts to save the Earth, Jacklin and Rossa unleash the deadliest menace - the Space Eater. Earthmen on Darkover stayed in the shelter of their specially-constructed spaceport - beyond lay wild, uncharted, inhospitable territory. But for space traveller Andrew Carr the desolate planet held an attraction he could not resist. Darkover drew him and haunted him. 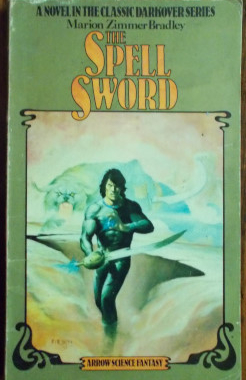 It was this irresistible force that lured his craft to destruction among the unexplored mountains, leaving him alone among the magical people of the ancient planet. Book III of The Damned. After millennia of useless war, the union of alien races was on the verge of winning a decisive victory - thanks to their new Earth allies. But then the birdlike Wais scholar, Lalelelang, found disturbing evidence that huamns might not adapt so easily to peace. When her field research revealed the existence of a secret group of powerfully telepathic humans called the Core, it looked as if Lalelelang would be the first victim in a new war between Humans and their allies. At the last moment, a lone Core commander took a chance on her intelligence and compassion, to gamble the fate of Humanity on the remote chance they could find an alternative to a galaxy-wide bloodbath. Someone was tampering with time, altering the past to eliminate the present, fading people out of existence into a timeless limbo. One of the victims was Angelina, the lovely, lethal wife of James Bolivar Di Griz - better known as the Stainless Steel Rat. That put Slippery Jim on the trail of the villains, a trail that went back to 1984 and an ancient nation known as the United States of America. 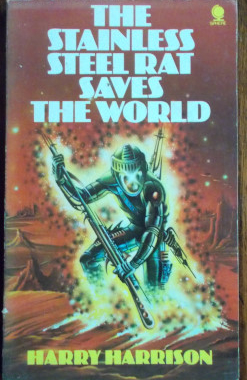 The Stainless Steel Rat was determined to rescue his wife. And before he was through he'd thrown dozens of centuries through time on BOTH directions. But then he didn't have much choice: to save Angelina, he had to save the world. Again. They called them angels, the strange, elusive creatures who had haunted the solar system for thousands of years - waiting, investigating, observing. They were highly intelligent and immortal. They didn't seem hostile - only - they fed off pure energy. 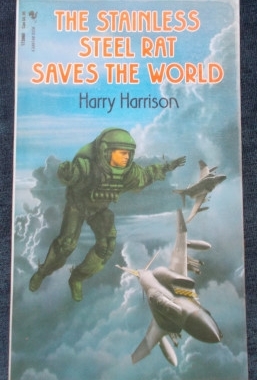 When space cadet Jack Loftus finds himself alone among the stars with a stray angel, his major decision was - how to come to terms with a being that could - almost literally - eat the earth!